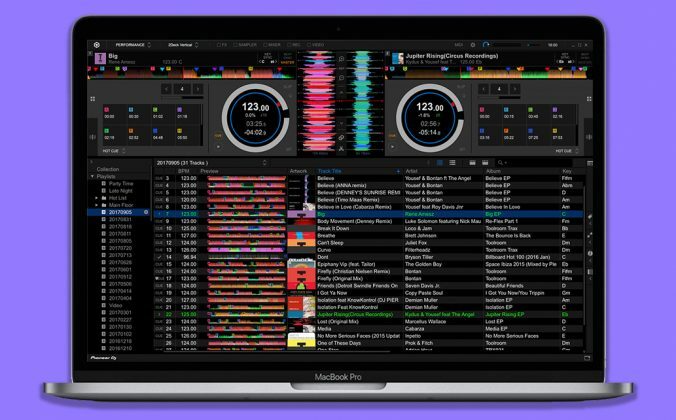 Serato, Traktor, Rekordbox, Virtual DJ: Which DJ Software Should You Choose In 2018? A laptop DJ plays a party. But what DJ software should you choose? And why? Find out as we compare the big four and the "best of the rest". Probably more than any other question, this is the one we get asked over and over by beginners. While there’s clearly no one answer that’s right for everyone, in this article we’ll look at the big players and give you some firm ideas. By the end of it you should be clear what is right for you – and if not, at least know what to do next to get closer to that decision. What does DJ software do? If you DJ on old-fashioned turntables with vinyl, you don’t need DJ software. If you DJ using DJ CD decks playing from CDs, you don’t need DJ software (although if you buy your music online, you will probably want music library software, and definitely need software to help you burn the CDs you will be DJing with). And if you DJ from USB sticks, you also don’t need DJ software – although again, software to help you prepare your music can make your life easier. Many pro DJs don’t use DJ software. They play from USB drives on equipment designed to let them do that without a laptop in sight. Indeed, many still use CDs (I know, I know). Even some “new” pro DJs (many of whom can be more accurately described as “producer/DJs” – hit song producers who have to go out and DJ to earn money) are doing it the “old” way like this. Many pro DJs don’t even use a laptop and DJ software to play… but if you want to have the most fun DJing, we thoroughly recommend that you do! But if you want to do all the cool things software lets you do, things that DJing “the old way” like this doesn’t allow you to do, then you need to DJ using a laptop – and of course that laptop needs DJ software on it. Whatever hardware you then add, the software is the “beating heart” of your DJ set-up. 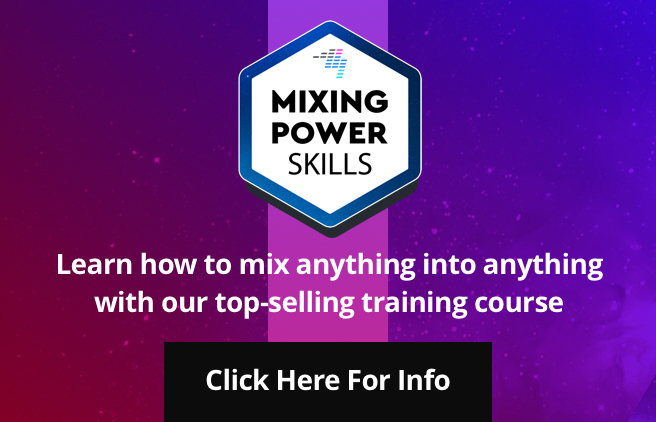 It lets you work with your music library, and contains your “decks” and often your “mixer” too, including all those snazzy effects and features such as video and live remixing. If you want to control your lights, link up with Ableton Live for DJ/production hybrid DJing, or any of a myriad other things too, software is what lets you do it. In laptop set-ups, the hardware is just a dumb box or set of dumb boxes. Think of DJ hardware as just like a “computer keyboard for DJing”, but as well as having lots of keys (ie buttons), a DJ controller also has sliders, knobs, flashing lights and things that spin. Controllers tend to be black and look cooler than computer keyboards, too, which helps. 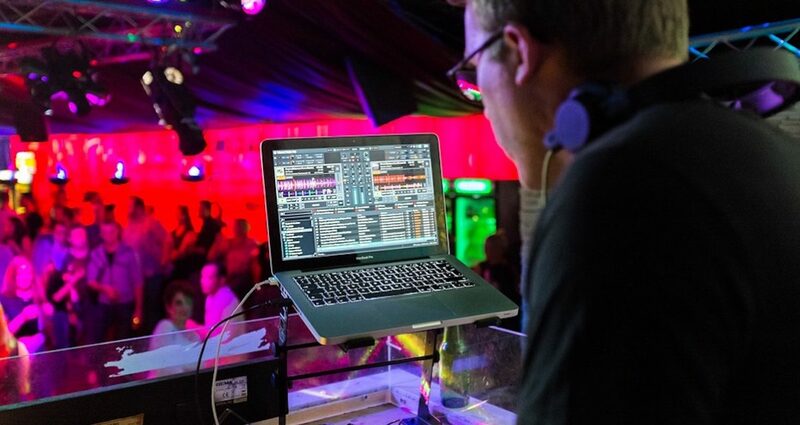 So it stands to reason that your choice of DJ software is not only important – it’s crucial. That’s why we recommend you choose your software first of all. Your gear can change throughout your DJ career, but your software is hopefully for life. And if that sounds like a marriage, it’s because it kind of is. It’s a big deal. There are lots of DJ software platforms to choose from, which can make it a confusing game. But the truth is that the market is dominated by four big names, with a couple of notable “others”. Let’s take a look at each of the big names, then round up the “best of the rest”. Note: Remember that while we’ve given prices here, you often get full software “in the box” when you buy hardware; some functions can be paid-for extras; and many apps nowadays also offer a month-by-month subscription model. 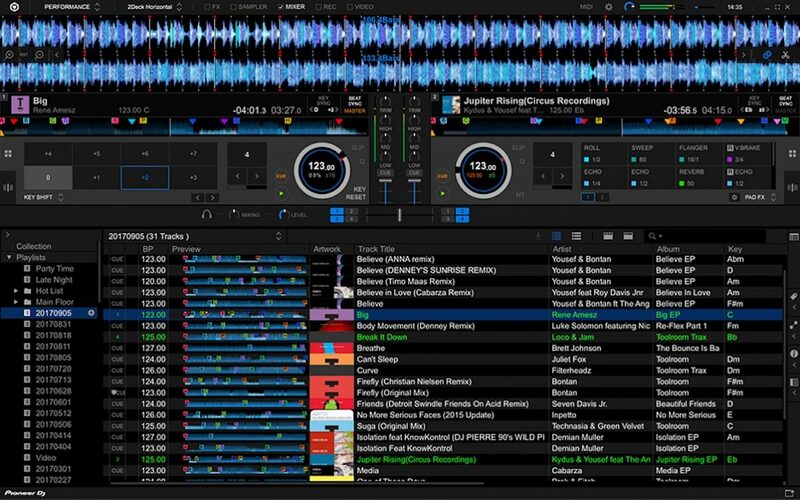 Serato is one of the smoothest, most capable DJ programs on the market. The current market leader, and beloved of scratch DJs (it was once called “Serato Scratch Live”), Serato now comes in two flavours: Serato DJ Lite and Serato DJ Pro. You’ll want Pro, but many cheaper DJ controllers come with Lite, which is a good gateway to the full version. Serato is a software company, meaning it doesn’t actually make any DJ hardware of its own. However, it licenses its software to some of the biggest names in DJ hardware. You’ll find DJ controllers and other equipment from Pioneer DJ, Denon DJ, Numark, Roland, Reloop and many other names with the “Serato” logo on their boxes. 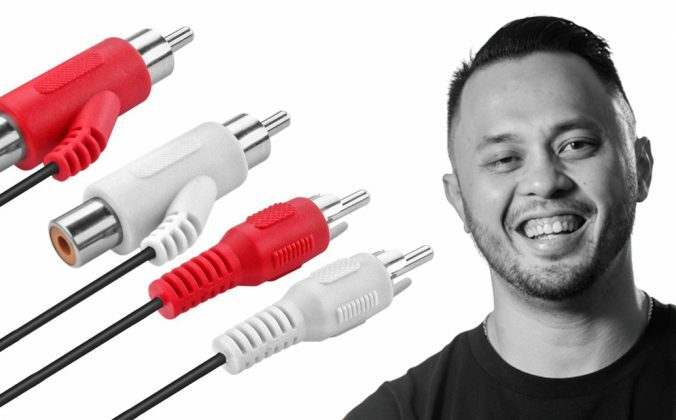 This tight tie-in with DJ hardware companies helps Serato to ensure that its software runs smoothly and is easy to set up and use, something beginners will find comforting. However, Serato is as “pro” as DJ software gets – it is used by some of the biggest names, especially among the aforementioned scratch DJ community. 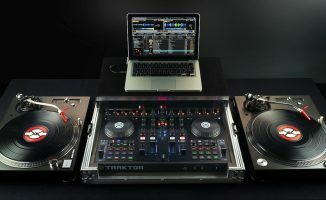 While in this day and age the majority of Serato users are using DJ controllers, it is a solid DVS (digital vinyl system) too, meaning the software can be controlled by special computer code records and CDs from pretty much any turntables/players and compatible DJ mixers, or via special audio interfaces. 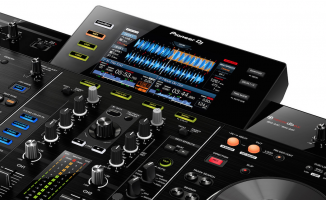 It also plays nicely with pro DJ gear of the type you find in DJ booths (think ubiquitous Pioneer set-ups) – with the considerable caveat that they have to be the latest models, and set up properly in order for this to work flawlessly. Serato can be extended to work with video and even karaoke, and of all the DJ software, is the best when it comes to using modern DJ functions such as beat sync with all types of music. 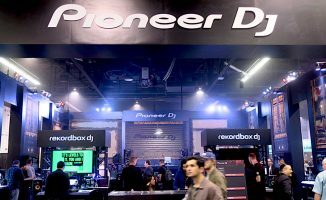 But on the minus side, it’s an open question how long the biggest manufacturer of hardware, Pioneer DJ, will continue to support it well, because its own platform Rekordbox DJ (which we’ll get to later) is rising rapidly. Best for: Scratch DJs, and DJs who play lots of different styles of music. Traktor Pro 3: The latest incarnation of this long-established program from Native Instruments. From Native Instruments, which is one of the biggest music production software and hardware companies, Traktor Pro is about to become Traktor Pro 3. That’s its first major update in many years, and there’s new hardware too, making this quite an exciting time for the platform. The current flagship DJ controller for Traktor, the Traktor Kontrol S4 Mk3, has innovative spinning platters with haptic feedback in a relatively small and lightweight case, and is a lot of fun, and there’s also the Kontrol S2, a budget beginner controller. Apart from a few much older pieces of hardware, that’s about it – so you’re going to have to trust that Native Instruments is going to continue to look after you hardware-wise if you leap in this direction. 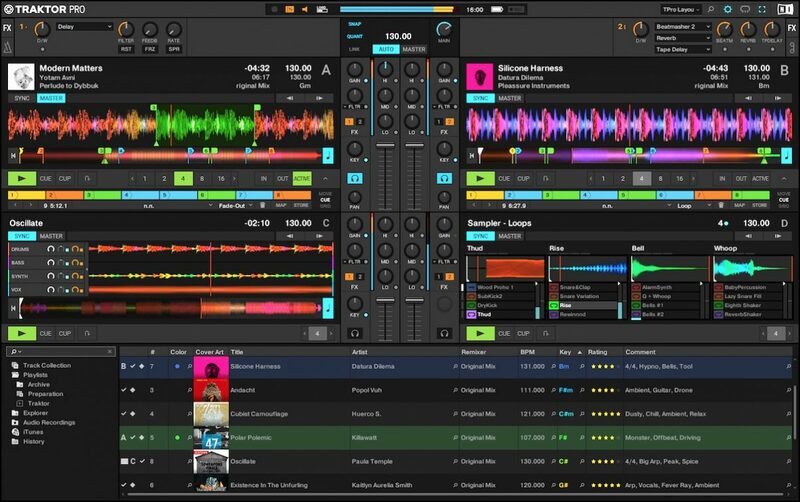 The Traktor software has several functions that appeal particularly to DJ/producers in the electronic music scene – its Remix Decks, for example, allow you to perform in a way that’s far removed from just playing tracks one after the other. Likewise its Stems feature allows you to DJ by isolating parts of tracks such as drums, bass, melody and vocals, albeit using special music files of which precious few are currently available. 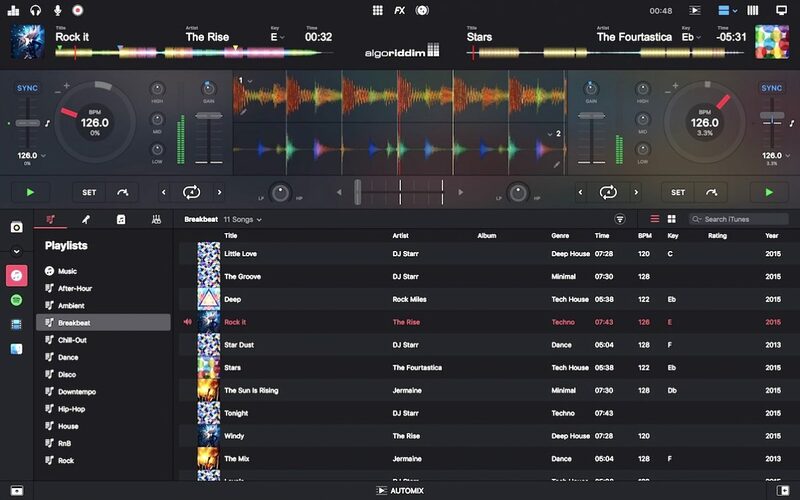 Traktor’s effects are strong, and the latest version offers genuine improvements to the way it works when you want to use traditional DJ mixers, upping the sound quality considerably over earlier versions. That said it is not the easiest to use, and lags behind the other big players in some technical aspects, the biggest being an inability to prepare music played by real drummers (and that thus has slightly varying tempos) to work properly with the sync function, and a lack of “smart playlists”. There’s no video, either. Best for: Electronic DJs and DJ/producers. Rekordbox is the best choice if you want to DJ using Pioneer gear with AND without your laptop. 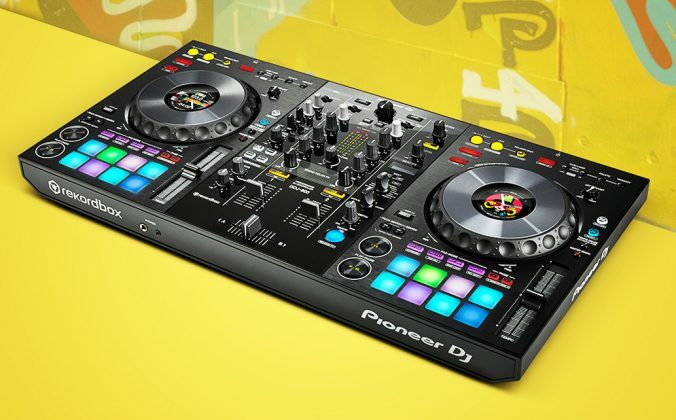 Pioneer DJ rules in the pro DJ booth – you rarely spot gear from any other companies in real-world discos, clubs and lounges. So Pioneer’s own DJ software has to be taken seriously. Surprisingly though, it was late to the game in all of this – but it caught up fast. Rekordbox DJ is the DJ software part of a bigger program called Rekordbox, which is DJ library software – think iTunes for DJs. Even if you want to DJ on Pioneer pro DJ gear without your laptop, you’ll probably end up using Rekordbox to prepare your music before exporting it onto USB sticks in order to do that. That means that if you want to DJ in pro DJ booths from just a USB drive, but also want to use your laptop in other situations (at home, playing private parties or whatever), Rekordbox is the obvious choice, because you’re only using one piece of software for both – an advantage none of the other programs can offer. 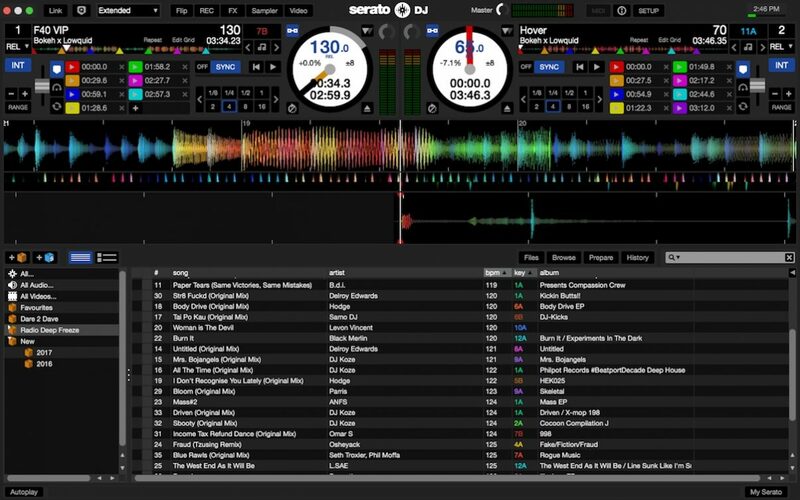 Rekordbox isn’t quite as refined as Serato, but it does offer many of the same advanced features, including video, lots of effects, and things like displaying lyrics onto club screens. It can even control your DJ lighting, although that side of it is new and currently pretty underwhelming. Pioneer is also the biggest manufacturer of DJ hardware, and has a large range of hardware for Rekordbox available, and there’s no doubt at all that Pioneer will continue to release Rekordbox-compatible gear at a rate of knots – so if you’re a gear head, and you buy into this system, you’re going to struggle to resist shelling out regularly as new developments hit the market! Best for: DJs who want to use Pioneer gear with and without a laptop. Virtual DJ: A true heavyweight, and has some of the most loyal users of the lot. 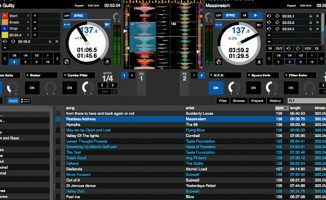 Unlike Rekordbox, Virtual DJ is certainly not new to the scene – it’s been around in one shape or form for over 20 years, and in its free version, Virtual DJ Home, is easily the most used DJ software of all. Virtual DJ Pro is the version you’ll want, though, and although it is pretty expensive to buy, once you have it, it is yours for life – including all future upgrades. I bought mine in 2004, for instance, and haven’t paid for a single update since. 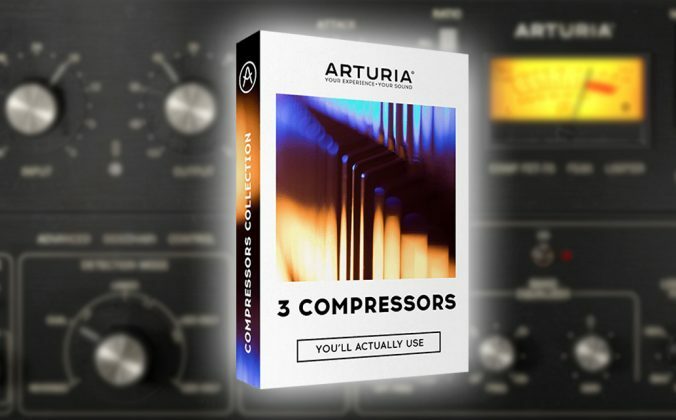 No paid-for plugins, either – you get it all for that price. And all is a lot! It’s got all the usual features of DJ software, and is often the first to innovate with new stuff (it was the first to have a streaming service, for instance, which at the time of writing none of the others has – although they will soon, trust us…). It works with pretty much all DJ hardware from ANY manufacturer (one of its selling points). It’s exceedingly stable, trusted by many DJs for decades. I have even heard of DJs having Virtual DJ as a trusted backup despite preferring one of the other big names above as their day-to-day DJ software, such is the faith they have in it. Of all the big names, Virtual DJ is the outlier – no big hardware tie-ins, very little marketing, definitely does things its own way. It’s also not the most polished looking – and sometimes gets a bit of a bad rap. But its legions of loyal fans were won by doing what it does very well. If you’d rather not be tied to a corporate vision of what DJs should be using and instead go with a platform that takes care of the software bit and lets you basically decide everything else for yourself, Virtual DJ is it. Best for: Mobile & event DJs. djay Pro is a great choice especially if you’re tied in to Mac and iTunes. djay Pro by algoriddim is a slick-looking program, that runs not only on Mac and PC but on iOS and Android too. It’s the most “Apple-centric” DJ software, so if you want something that integrates well with iTunes above all else, it’s your one. It also features Spotify integration, something (again, at the time of writing) that no other platform has. Reloop has the Beatpad 2 and Mixon 4 controllers that work with this, although it also works with Pioneer pro gear (same caveats as Serato and Traktor). Finally, a mention for DJUCED, which is bundled with most of the controllers made by Hercules, has also developed into a contender, although you’re unlikely to come across this software unless you are introduced to it by buying a Hercules controller. We can of course only touch on this subject in a post of this length, and there is much more both in our annual Gear Guide and in our book Rock The Dancefloor! 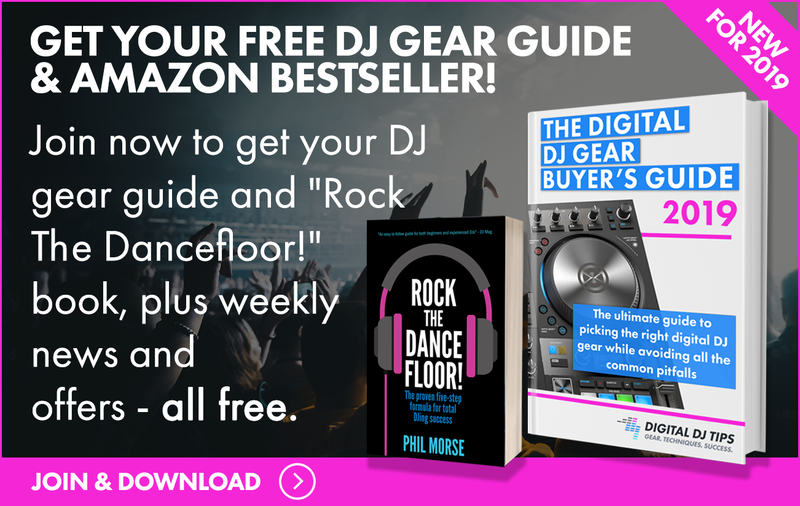 (both free when you join Digital DJ Tips). Your decision will be influenced by other factors too that are personal to you, which may include what all your friends use, what other DJs in your area use, what you may have used before, any gear you already have or are offered, cost, and – last but definitely not least – your instinct! But I want to close by referring you back to the start of the piece, where I revealed that most pro DJs don’t even DJ from software at all. 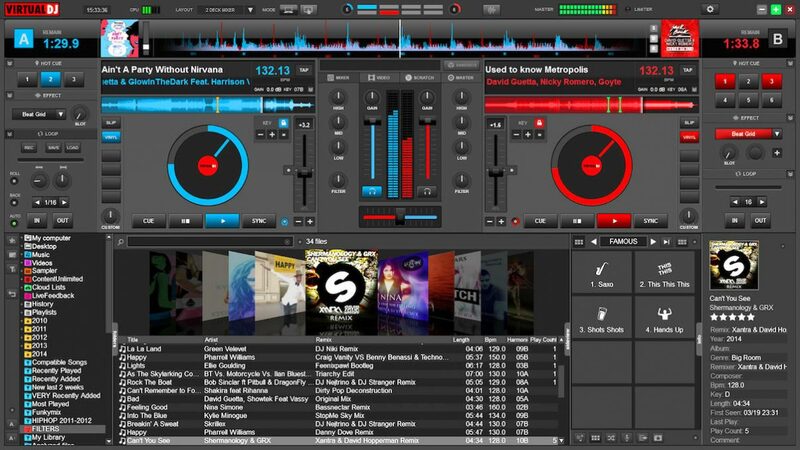 The truth is that DJ software is designed to make DJing more convenient… but it’s still DJing! 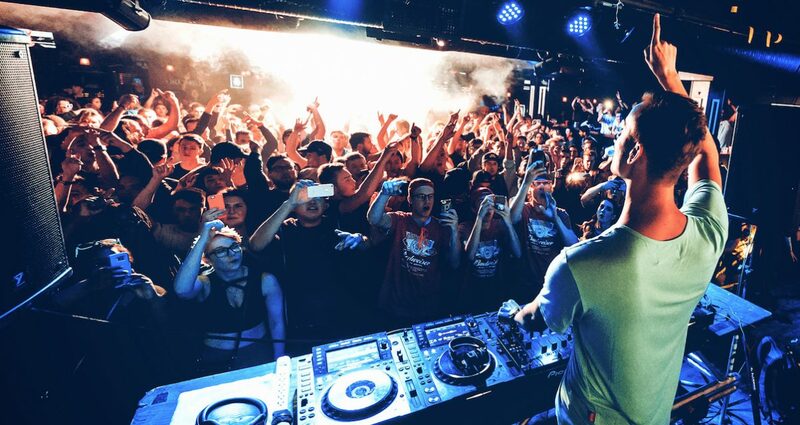 All the real skills – and by those I mean gear knowledge, techniques, music knowledge, programming a set, reading a crowd, performing and more – have got zero to do with your DJ software. Sure, choose well, and for heaven’s sake make sure you learn how to use your software once you have – but remember, DJing is bigger and wider than a decision about what brand of DJ app to use. Good DJs can spin on anything. Got any questions we can help with? What DJ software do you use, and why? Please share your thoughts and experiences below. of course you can buy rekordbox full version. no subscription needed. Then their website seems to be a bit confusing. However, ignore my comment about the subscription/purchase of Rekordbox then. or if you can afford a little extta just get a cheaper pioneer interface, like interface 2, and get a free FULL rekordbox DVS license in the package. agreed Traktor is a “closed” ecosystem. However, for historical reasons it has the best MIDI mapping for controleirism (modifiers / conditions / etc). this is only surpassed by virtualDJ and MIXXX in expressiveness. …however, we’ve never satisfactorily mapped the jogwheels to anything other than NI gear, hence our reticence to recommend using Traktor with anything that isn’t DVS, HID etc. Not sure what you mean by that Phil, I’ve never had any issues starting from the VCI100 to Pioneer DDJ-T1 to today’s NXS2 kit in HID mode, perfect jog behavior. Not sure what they are meaning either, I ran Traktor Pro 2 for over a year without an NI soundcard, using a pair of CDJ900 as my soundcards with advanced audio routing to utilize the DACs for streaming the audio. Agree with your point Phil. I use traktor with DDJ-SZ and DDJ-1000, performance is reasonable using a very fast laptop. In HID it would be perfect. I don’t see Traktor as a closed system at all. Unless they dum down the mapping control in Traktor it has by far the best mappings out there, thanks to DJ tech tools and the community. I personally have not had any problems with my VCI 400 Jogs. Glad you’ve had a good experience there Jamus! It is effectively closed, in that percentage wise very few people use it with non-Traktor hardware in 2018. I appreciate there are people who do, though – just not many in the big picture (we know from our DJ census conducted annually what hardware/software DJs are using out there – at least, the 32,222 who took the last census…). I appreciate your feedback. I have been using Mixxx for the last 5 years and it’s a great piece of software. And it has a strong and helpful community behind. The mapping system is complex, but gives you an incredible level of control and flexibility. Also skins system is also flexible and versatile. And is free software (as freedom) where everyone can have a voice in the process of improvement. User base. We have nothing against Mixxx, but very few of our audience uses it. Personally, I use (in order of preference) Traktor, Rekordbox, Cross and Serato for Dj platforms. I also run USB drive on my CDJ2KNXS and straight up vinyl on my turntables. It’s good to keep versed in different software, can’t really claim that one is better than the other if you’ve never compared. Besides, each has their own workflow and feature set… it comes down to what is comfortable to the individual. Wow, you really have got involved with them all haven’t you John! Thanks for sharing you “order of preference”, too. 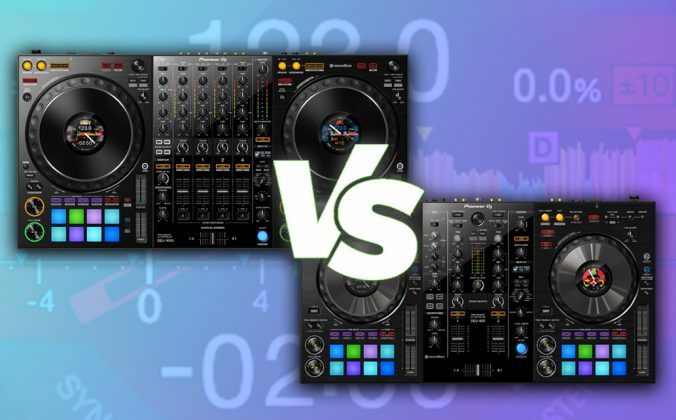 So why ultimately do you like Traktor the best? I use Traktor software and hardware ( Pro 2, S4 & 2 F1’s ) which have worked flawlessly for me for many years. I’ve noticed that most of the “ big name dj’s “ who also spin tech/house are using Traktor software and have told me they think it’s the best for spinning house & techno and not so much for other genres like hip-hop. Exactly – it’s a good choice for tech, house and other pure electronic genres. Many DJs as stated in the piece highly rate Virtual DJ, too – thanks for putting some meat on the bones of why. That said, many professional DJs also use Serato. Hi… I just wonder which Software has the best beatgridding for oldschool tracks? We think Serato has the best beatgridding overall. Yeah have had a denon mc 20oo , Reloop TM8 and now a Reloop mixon 4 and all use Serato..so really happy with it apart from the fact it needs a day display mode badly ( as I do many out door day gigs ) .Also service and feedback from Serato is great ! Don’t see myself changing to a rekordbox – pioneer Dj as I have been very impressed with Reloops backup service etc .So don’t see myself changing software in the near future either . Why is Serato better for scratching? I’ve looked high and low for scratch comparison between Rekordbox and Serato but can’t find anything. Looking forward to your awaited review of the 72…. I don’t think it matters. Its your skills that matter when it comes down to it. The client isnt going to care about software. Fair point Christopher, but if that software crashes or worse freezes so that you have to re-boot your Mac or PC Laptop with resulting silence on a full dance floor with no traditional CD player backup, the client may well care what software you use, despite amazing skills. Worse the DJ looks like a dork. My Personal choise was and is VirtualDJ. Cause it provides all the flexibility i need doing various gigs from clubs, Videogigs weddings ect. Virtual DJ was the first software I ever used in DJing, and I still use it. But we reflect our audience and their usage – and Virtual DJ is used less among our audience than the other three (it’s 35% Serato, 25% Traktor, 20% Rekordbox, 15% Virtual DJ). Hence the order. And no, we don’t think Virtual DJ looks as polished, but that’s just our opinion of course. I eventually bit the bullet and bought the Traktor Pro 3 upgrade. At this moment not one of the above discussed applications is perfect but, but for my needs Traktor ticks the most boxes, so that’s what I went for.